Also known as Shana, since she doesn't seem to think too well. She has not won anything or done anything. Her main purpose in life at this moment is as a broodmare, she has nice breeding, but in her it is has been ruined by a lightning bolt and fences. Shana coming last She looks like a nice wild horse like this. 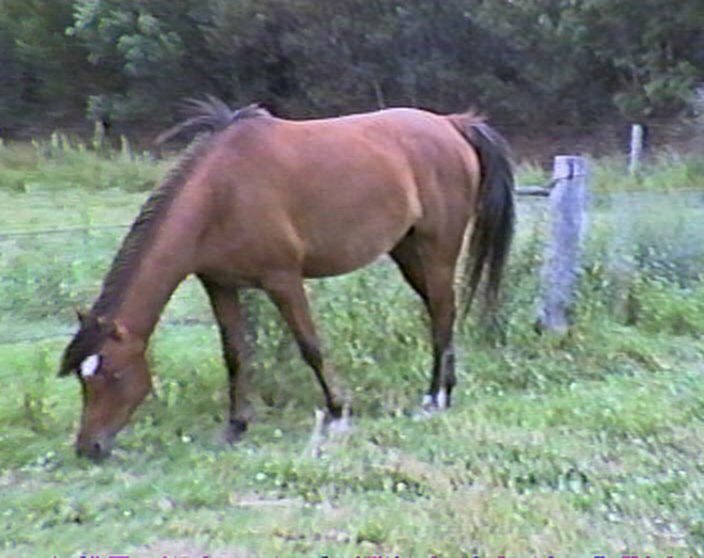 Video of Shana (1.4mb) This horse still has amazing movement even though she has wrecked her legs three times now. Video of Ralvon Mark (2mb) This is Shana's new boyfriend, he has very nice movement too.